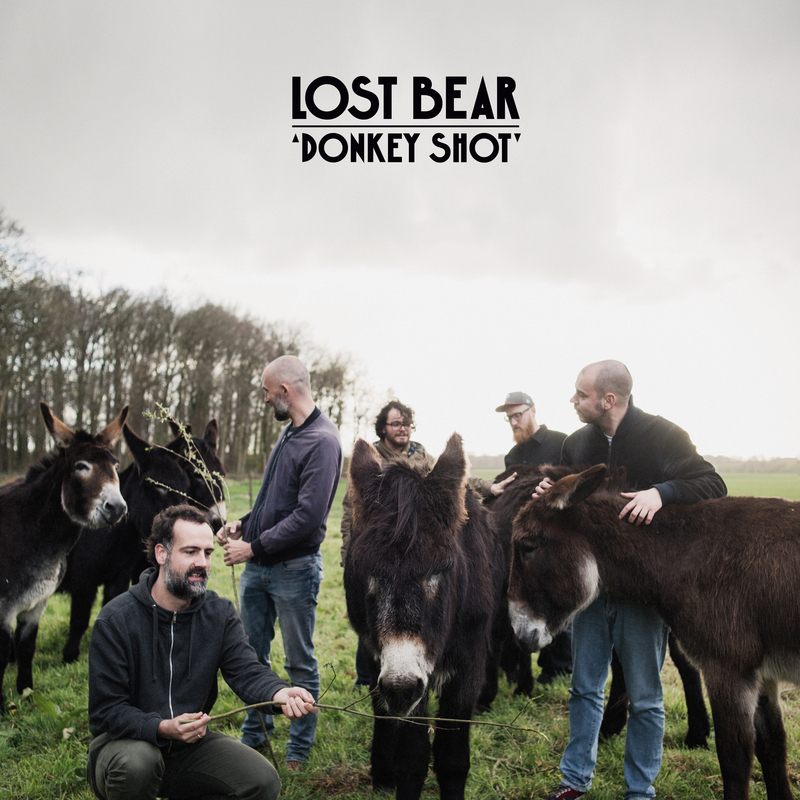 Here it is: the artwork for our new album Donkey Shot! It will be released on 12″ vinyl, October 4 (World Animal Day). The illustrious cover photo was shot by Nick Helderman Photography. Lost Bear likes animals. Therefore, they’ll donate € 1 for every sold record to Stichting de Grote ezel, the lovely organization where the photo shoot took place.